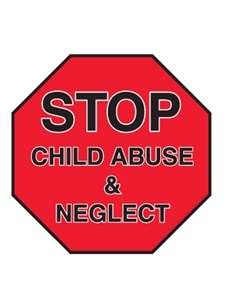 Welcome to part 6 of our 9 part series on child abuse and neglect. Today, we will be discussing what you should do if you suspect potential abuse or neglect. Please see the end of today’s article for a complete listing of articles included in this series. Although there is a legal system and various state agencies set up to deal with issues of abuse and neglect, as the church we cannot and must not forget that our primary goal is ultimate healing and restoration through a relationship with Jesus Christ. The gospel of Christ must guide us in all that we do. What To Do When You Suspect Abuse or Neglect? Pray for guidance in how to handle the situation. Document what you have observed that has led to your suspicions. This should be done in writing. Do not approach the child (we will talk later about how to talk to a child who has told you they are being abused or whom you find out has been abused or neglected). Follow your church’s policy on reporting suspected abuse. As an individual who works with kids, you should check your state laws to determine if you are required to report the suspected abuse to authorities or if reporting it to the designated person in your church is sufficient. You can find out more about this in the section of this article on who is required to report suspected abuse and neglect. Have a point person at your church (a children’s ministry director, family ministry coordinator or executive pastor) who is the individual ultimately responsible for receiving reports of suspected abuse and reporting those suspicions to the appropriate authorities. Stress the need for confidentiality. If the suspected abuse involves a volunteer, or staff, at the church, that person should be immediately removed from working with children pending the resolution of an investigation. Parents should be notified, where appropriate. Note that caution should be used where the suspected abuse or neglect was, or may have been, at the hands of parents. Train your volunteers and staff on the signs of abuse and neglect and the procedure for, and importance of, reporting suspected neglect abuse. Churches should also check with their counsel and/or insurance carrier regarding responsibility for reporting suspicions.